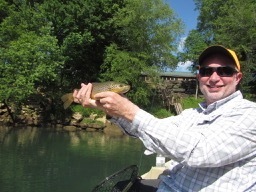 Last Friday and Saturday we again had the pleasure of fly fishing with Dave from St. Louis, Missouri. 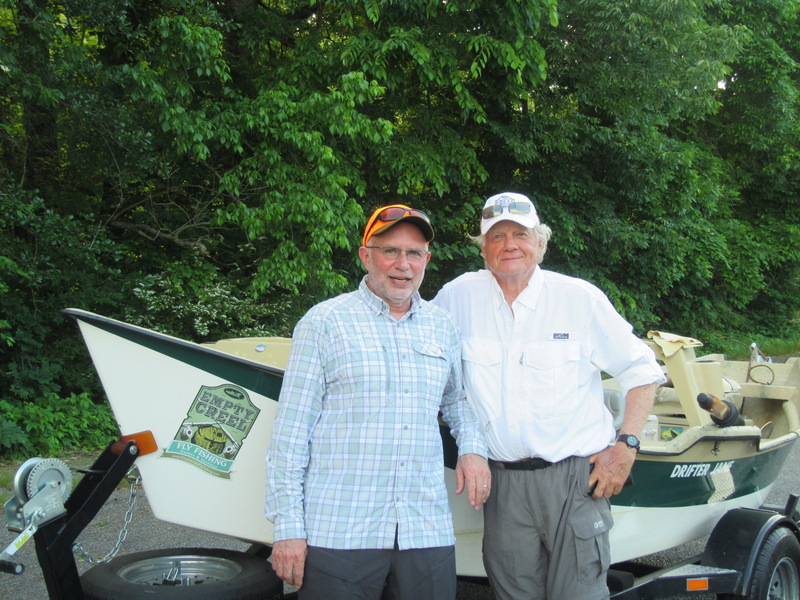 This trip he brought along Mike who is a good friend and long-time business associate. Seems like we had a really short spring as we are already into record high temperatures this month along with very high humidity. Oh well, the fish do not seem to mind. 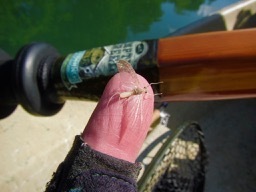 Mike is fairly new to fly fishing so we worked with him on some knot tying and especially his casting stroke. By the end of the second day, his casting distance had tripled and his accuracy is improving. We just have to get him a little quicker on the hook set. 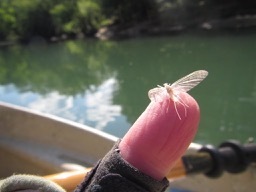 The Caddis and BWO’s continue to come off although the Caddis hatch is slowing quite a bit as the temperatures have warmed. We also saw quite a few Sulphurs and Yellow Sallies. 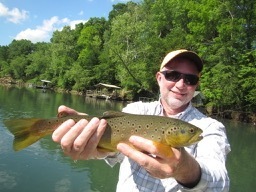 Both anglers landed a number of nice Browns and it was just two great days on the Little Red River. 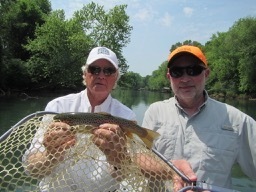 We look forward to fly fishing with both Dave and Mike again real soon.